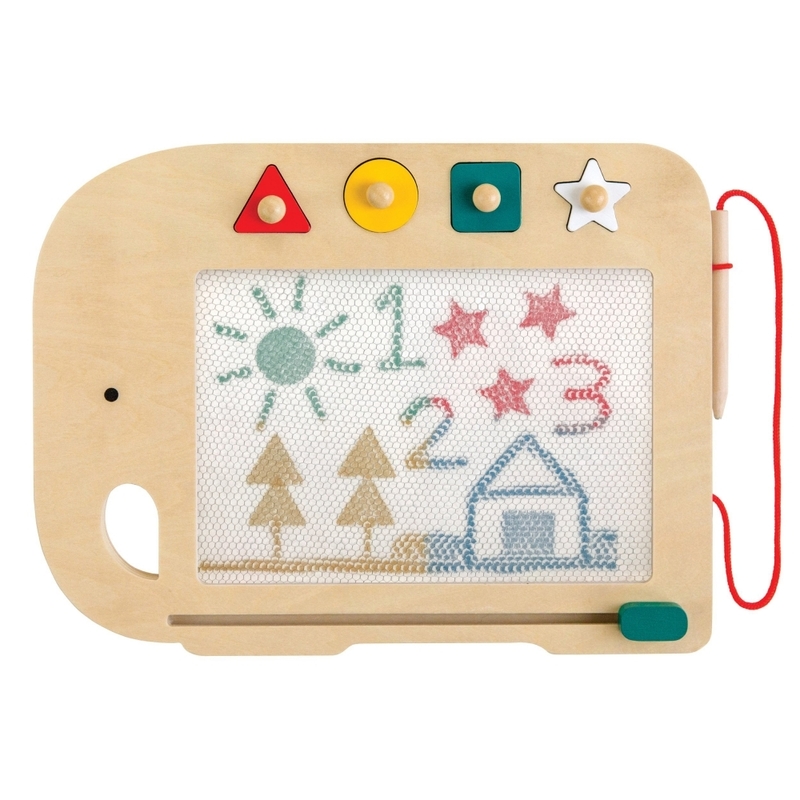 Great for creative play, this Petit Collage Doodle & Draw Elephant Wooden Magic Drawing Board is shaped like an elephant and features a stylus pencil, a large drawing area with 4 vivid colours and 4 magnetic wooden stamps to trace around or create patterns and shapes. An easy slide eraser bar means your little one can easily wipe away their doodles and start again. The delightful doodle & draw is suitable for children 3 years + and will help your child's development while also providing entertainment.